WEDI conferences showcase best practices, emerging trends and case studies in Health IT. Our goal is to bring together the brightest minds in the industry to give talks that are idea-focused, foster learning and provoke conversations that matter. - The Changing Dynamic in Healthcare Security: The risk or the promise? - Provider Adjustments (PLB) in the Electronic Remittance Advice (835) – How do they work? Conference presentations are intended for educational purposes only and do not replace independent professional judgment. Statements of fact and opinions expressed are those of the participants individually and, unless expressly stated to the contrary, are not the opinion or position of the Workgroup for Electronic Data Interchange, its cosponsors, or its committees. The Workgroup for Electronic Data Interchange does not endorse or approve, and assumes no responsibility for, the content, accuracy or completeness of the information presented. 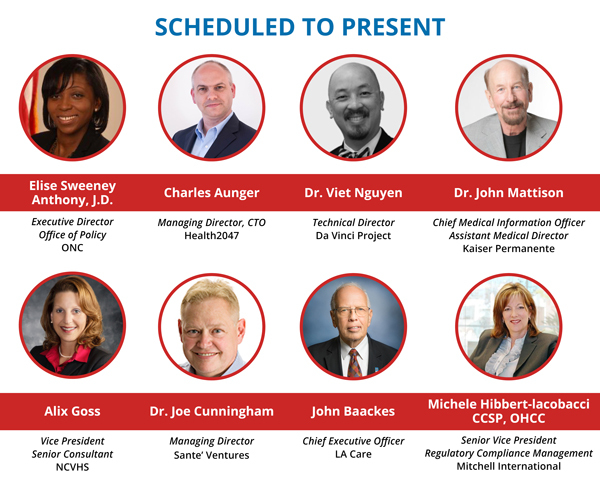 The 2019 WEDI Spring Conference will be held at the Hyatt Regency La Jolla At Aventine, 3777 La Jolla Village Drive, San Diego, CA 92122. If you cannot use the link, use the code VR3VD when making your reservations.